It’s one of the most common concerns we hear from perspective residents. We understand. It’s normal to have anxiety about entering a new community. But we can also confidently say, friendships blossom easily at Lighthouse! 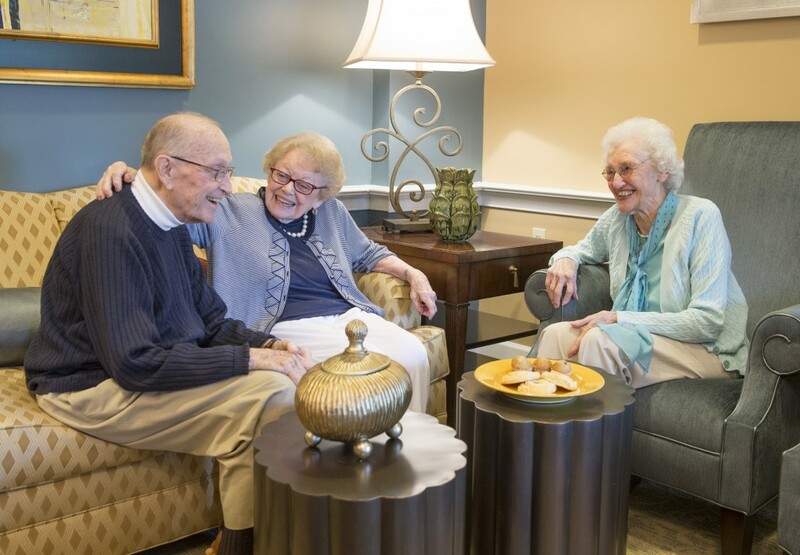 Our residents form strong bonds thanks to shared experiences and daily social activities. Plus, never before has it been so easy to meet up with friends. They are never farther away than a walk down the hallway. And three times each day — breakfast, lunch and dinner — you have the chance for leisurely socializing during your meal in our comfortable dining room. Residents often report that their close friendships with other residents are among their most treasured parts of the Lighthouse experience. Ready to to make new friends? Contact us today! [At Lighthouse], there’s a peacefulness and yet a very social environment. These are her friends. It’s been transformational and truly has changed her quality of life. Everyone there is like family, and she knows she can turn to anyone for anything.